-Water Freedom: Arthur doesn't suffer penalties in underwater battles and receives +1cs Fighting, Endurance and Strength. 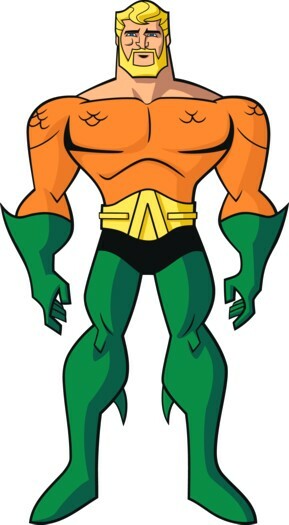 -Water Breathing: Aquaman is amphibious and can breathe both air and water. Dehydration: Aquaman needs to immerse himself in water for at least an hour every 24 hrs to keep his powers and stats at peak levels. For every two (2) hours past that point, reduce all his physical stats and powers 1 rank. This affects his Health too. One (1) hour's immersion in water will immediately restore all lost ranks and health.